Headquartered in the United States in Dalton, Georgia, Shaw Industries Group, Inc. is the world’s largest carpet manufacturer and a leading floor covering provider with more than $4 billion in annual sales and 25,000 associates worldwide. Shaw is a wholly owned subsidiary of Berkshire Hathaway Inc. A full flooring provider to the residential and commercial markets, Shaw supplies carpet, rugs, hardwood, laminate, resilient, and tile/ stone flooring products, as well as synthetic turf. We are committed to being the premier artificial turf company that meets all your needs – from having the resources and experience to engineer and install the best products in the industry to having the one-on-one personal level of service your organization can depend on. 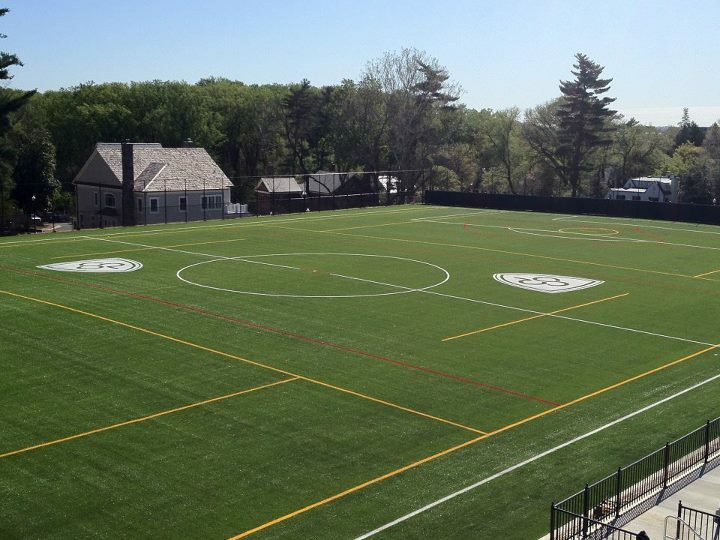 From design and manufacturing to installation and warranty, there is simply no match in this industry for a DP Turf custom design and installation of Shaw Sportexe sports turf. As you can clearly see more and more sports industry professionals are turning to Shaws Sportexe for their artificial / synthetic turf solutions. Here are some of the accolades out there for Shaws SportExe. DP Turf had been in business for over 25 years! Contact Us for a quote on your next sports turf project; our licensed use of the Shaws SportExe product line will keep your turf in outstanding season after season!